CHECHESMITHNATION : Flavour's Baby Mama Looked Lovely In Trado-Wears! Flavour's Baby Mama Looked Lovely In Trado-Wears! 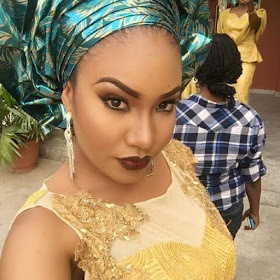 Ex MBGN, Anna Ebiere, cuts a stylish figure in this traditional attire at a friends wedding today. And we are loving her lip game too.